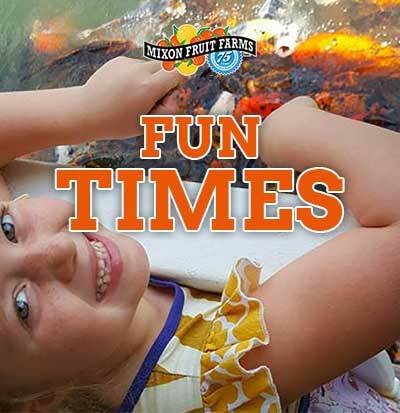 A Bradenton attraction with something for everyone! 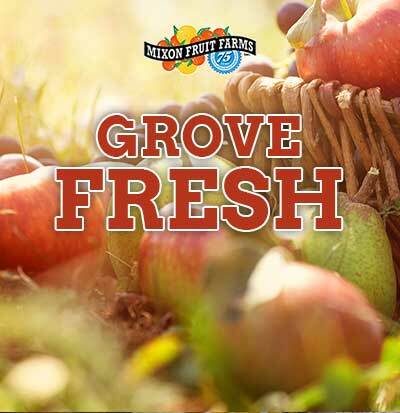 Shipped right from our groves to your door! *Fresh fruit ships during season (November until April). 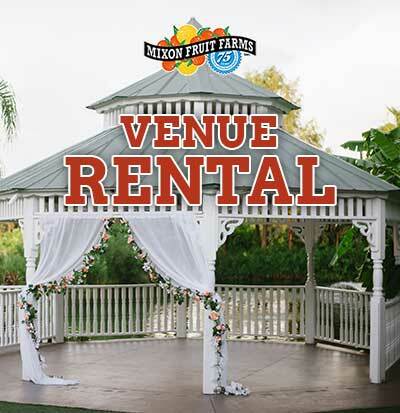 Mixon Farms provides a perfect venue for many special occasions as well as full event coordinator services. 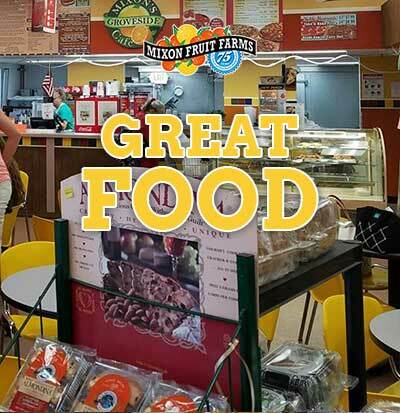 The Groveside Market & Cafe is full of delicious treats! Perfect for lunch on the go or just for a delicious dessert. Browse our online store and have your order shipped directly to you, quickly and conveniently! Something for everyone. 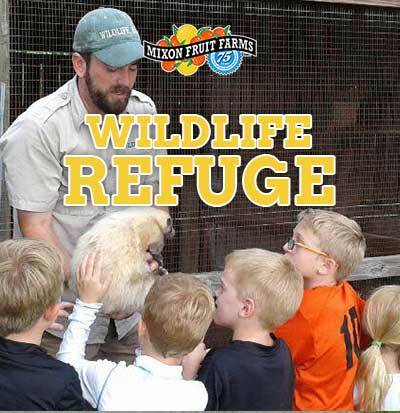 Tour the grove, let loose at Mixon's Play Place, visit the Wildlife Refuge and more! Meet the animals up close and let us share our love of wildlife with you. 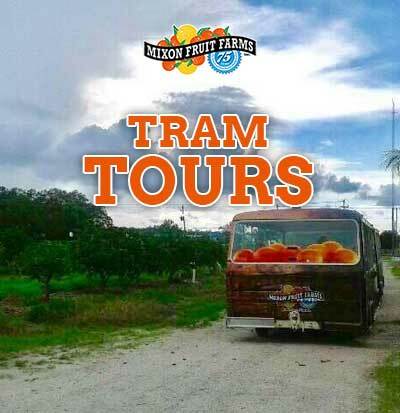 Take an informative and educational ride on the Orange Blossom Tram. the whole family at Mixon's Play Place!